Welcome to Saint Mary's of the Barrens Church. 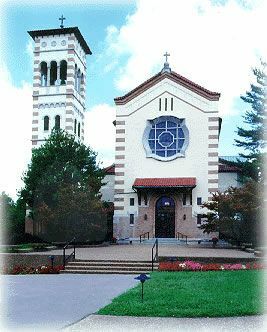 The Vincentian priests and brothers and the Association of the Miraculous Medal hope you will enjoy your visit to this historic church and will find this church a place of prayer and support to your spiritual life. Thank you for your visit. You may begin your tour by clicking on the Angelus Bell Tower or on the front door of the Church.